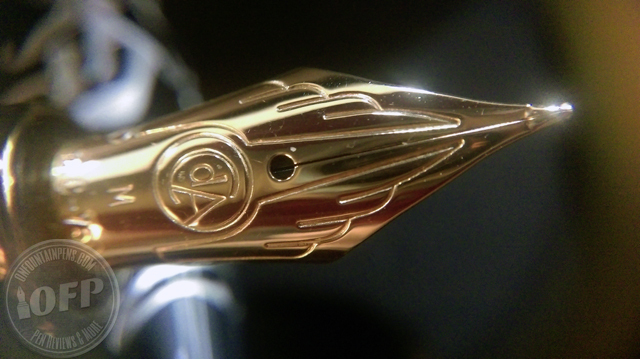 I spotted this beauty of a pen the other day and decided to set up a #pendelight article on it. 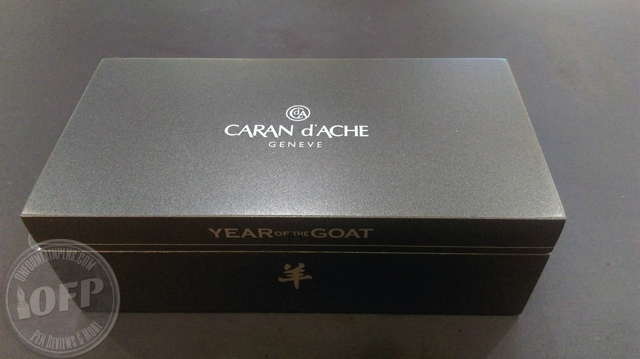 This is the Caran d’Ache Year of the Goat Limited Edition fountain pen, which I should have talked about during the Chinese New Year, but did not get a chance to. 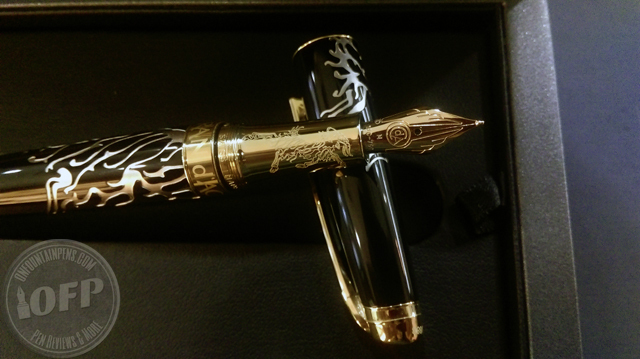 The pen is designed for the Year of the Goat, which is the 7th animal in the Chinese zodiac sign, and also the sign representing this year. 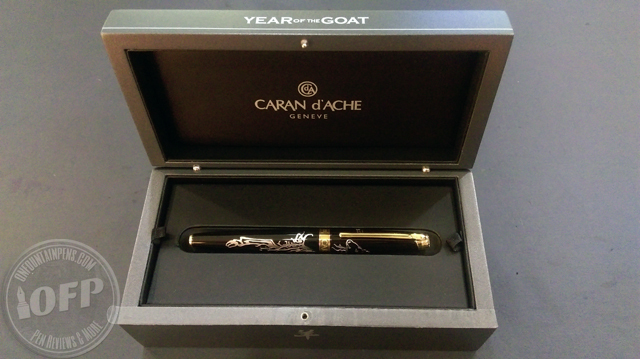 Those of you who like (or were born in) the Goat Year, and like Caran d’Ache, you are in for a treat with this pen! On the pen barrel, you see the outline of a goat being carved onto it. 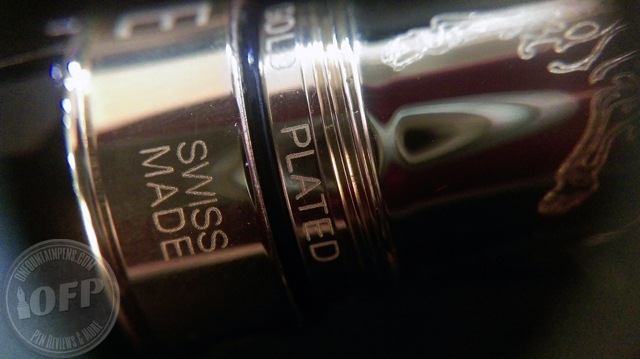 The metallic material inside the carvings is rhodium-plated. It gives off a lively and vibrant feel to the pen. There are also carvings on the section, which I thought was interesting as sections are not often places penmakers would put an artwork on. 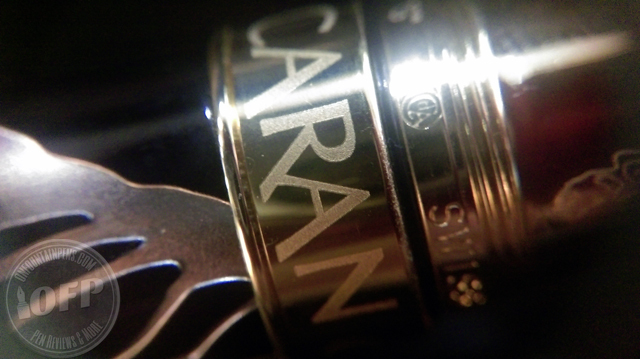 Caran d’Ache is a Swiss pen brand from Geneva, Switzerland, so you see the words “Swiss made” engraved on the trim. 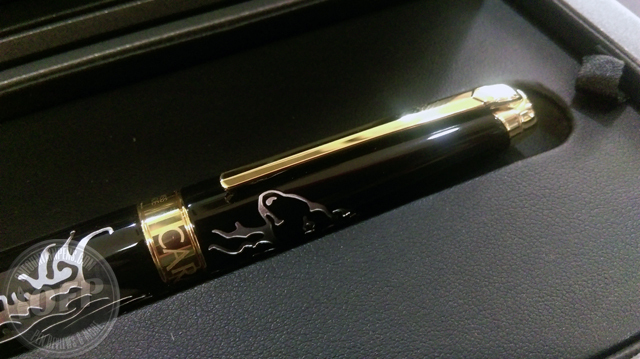 This pen also makes use of black Chinese lacquer for the body. 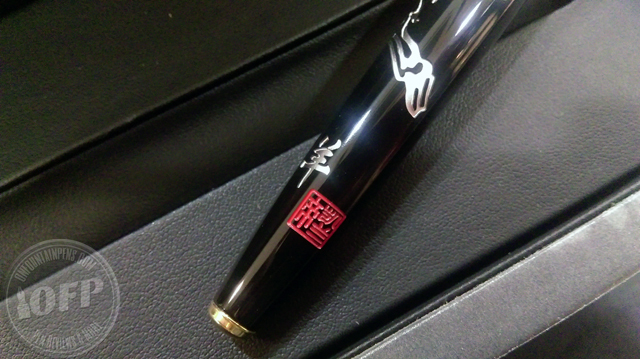 We often hear of Japanese lacquering on pens, but for me, this is the first time I am hearing of Chinese lacquer. Lacquering is one of the very old crafts in Chinese history, developed more than 3000 years ago, which was highly regarded. In fact, the art of lacquer was brought to Japan from China, so we can safely guess that it originated from China. 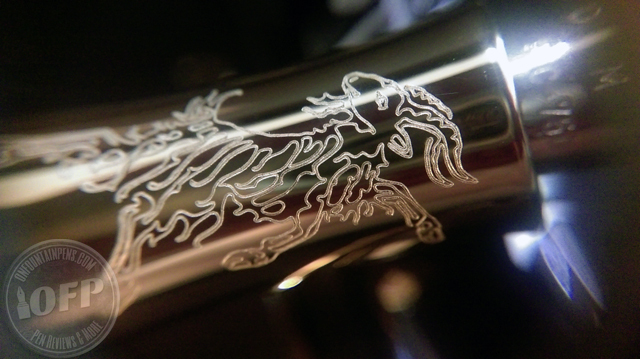 Near the bottom of the barrel, a single word meaning “Goat” is carved, followed by the picture of a red Chinese seal, bearing the Chinese name of Caran d’Ache. 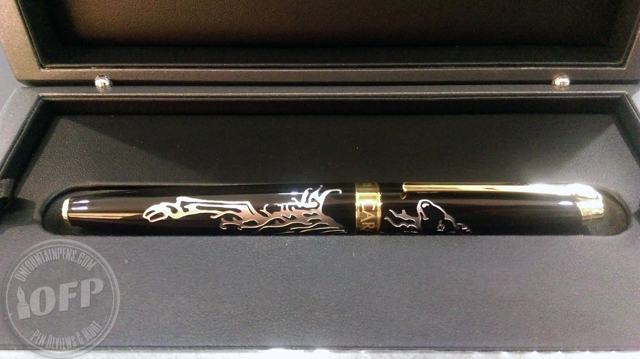 You can tell that the whole pen is wholly dedicated to the Chinese culture. Even the number of pieces available worldwide is 888, as the number 8 is considered auspicious for the Chinese! Nibs come in standard sizes of F, M and B. 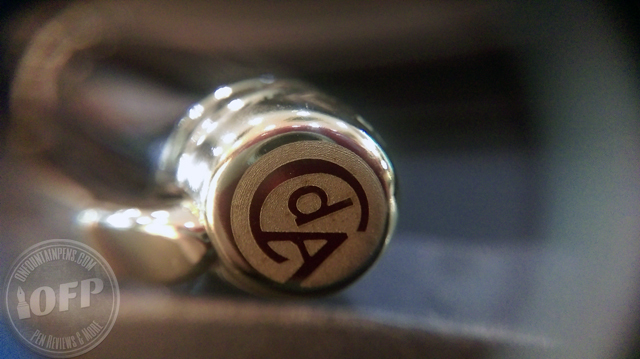 These nibs are 18K, rhodium-coated nibs. If you get one of these pens, you may also be able to choose a specific serial number, which is printed onto the top of the pen cap. I know of some people who choose certain numbers based on the significance of the numbers to something in their lives. Pretty interesting, too! Hope you enjoyed this week’s short but sweet #pendelight!